Responsive design is the web community’s preferred approach for dealing with the compatibility issues caused by the great diversity of video viewing devices in use. TechTV have expanded its support for hosting videos (video <iframe> embedding) in pages configured for responsive delivery. Visit any video you own that has embedding enabled (or enable it temporarily) to see the new specifications available for creating video embeds. The new configuration helps you scale to the constraints of most viewing devices (Windows, Mac, Linux, iOS or Android). In most cases, the generated embed code will work without further assistance: however, adding appropriate CSS to your page (and to the embed) can help make your video compatible in a wide variety of page settings. See the help link on the embed pull down for more detail. TechTV now offers simplified collaboration upload features. Registered TechTV users can be added to a Protected collection for a course by adding their names to the Collaborators user list. Appointed users can then upload directly to the collection without have to have administrative rights, and without the fuss, muss, and bother of linking it from their personal TechTV account. The Protected collection owner and administrator still has complete control over every video in their collection. Lack of high-quality audio in informal recording – this can be easily addressed by using a lavalier (clip-on) microphone – makes all the difference if people can hear what’s being said. Not realizing the benefits of editing 2-hour videos down to 5-10 minutes (that is, not allocating the resources to do so) – most long videos can be distilled down to 5-10 minutes of vital content. When planning your videos, try to budget in the time or resources to edit your videos down to “the good stuff” and you’ll find your viewers will stay around to watch more of your video. Not thinking about videos only in terms of archival uses rather than shareable uses – recording a video for the archives is great, but most people want to see what’s relevant now. Making a video available as soon as possible after it occurs increases its appeal and when you record a video, take this into account. For more information, contact Ellen Duranceau, Program Manager, Scholarly Publishing and Licensing , MIT Libraries. We are pleased to announce that MIT TechTV was integrated with the MIT Touchstone system on Wednesday, July 6th, 2011. Please take a look at our MIT TechTV FAQ page to see how the new processes work. With all of the lawsuits happening these days over copyright infringement and the such in online videos (such as the pending $1 B Viacom v. Google suit), people are wondering what they can do to help prevent getting in trouble themselves. Recently, the Center for Social Media (part of the School of Communication at American University) has concluded a long, in-depth project to establish a set of “Best Practices in Fair Use for Online Video“, and other valuable information to help guide video creators in ways to prevent getting themselves in trouble. We are happy to announce that MIT TechTV now supports video playback on most mobile devices. We now have an HTML5 backup player so that any device that doesn’t have Flash installed on it should be able to utilize the HTML5 video player that will automatically load. Included in the playback support is also the option to make your MIT TechTV external embeds to have the same HTML5 backup player support. Simply check the box in the Embed window to enable the HTML5 mobile player support. We have been asked on numerous occasions to create a quick tip guide for making videos. The below will encompass things to be aware of as you go through the process of recording your own videos and posting them to MIT TechTV or the web. We will add to this as needed based on feedback. Audio: be aware of background noise and try to mitigate unwanted noise as much as possible. The trick is to keep it short and sweet. Give just enough information to get your point across but not too much to bore or drive away your audience. Once you have finished recording, get your footage from your camera or other recording device into your computer and use an editing program (such as iMovie on a Mac or Windows MovieMaker on a PC). Save your project on a regular interval. Editing programs can be fickle and crash from time to time so frequent saves can save your project and your sanity. Compression is an important step that takes your video from a very large file size and screen size and can help reduce it to a much smaller file size (and potentially screen size) to allow for faster uploads and user-friendly viewing on the web. Many editing programs can do this for you under an Export, Save For Web, or Share selection/menu. Once your video is compressed, you can upload it to MIT TechTV (if you have any mit.edu email address) or other video sharing websites. To upload to MIT TechTV, go to the home page and click on “sign in” in the top right corner and after you’ve signed in, click on the “Upload” button that will appear and follow the page instructions. If you don’t have an account yet, go to the MIT TechTV home page and click on “create account” in the top right corner and fill out the form to sign up. The website is currently moderated for obscenities and copyrighted material. Computer recordings: you can use software such as Quicktime Player 10 on newer Macs to record your videos directly with your computer to a file on your computer. With Quicktime Player 10, launch the program, go to the File menu and select New Movie Recording. Record your video and then save it by going to the File menu and select Save For Web. Please send us any questions or requests for other information you’d like to see on this posting by adding a comment below. We are pleased to announce that MIT TechTV now has Closed Captioning [CC] support for its videos. Using the basic .srt file type you can now enhance your videos and make them much more accessible to those of us who are deaf, hard-of-hearing, or use English as a second language. If a video has [CC] applied to it, it will increase the video player in height and the captions will play underneath the video so you don’t have to worry about any of the video being covered up. To enable and disable captions for a currently playing video, simply click on the CC button (highlighted in red in the picture to the right). By default, any video with captions applied will have captions turned on to start. To apply a .srt file to a video you must be the owner of the video. 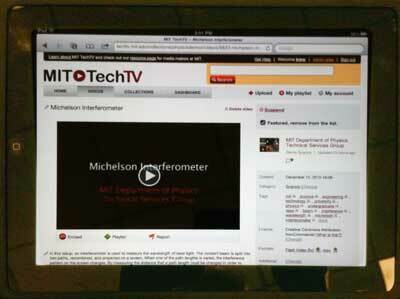 First log in to your MIT TechTV account and go to the video’s page. Then in the gray box to the right of the video you will see a selection for “CC File” as noted in the picture to the left. Click on “Change” and you will be prompted to select your .srt file. “Save” and you’re done. The page will refresh and your captions will be applied. We have also enabled you to be able to embed your video with captions in external websites as well. you’ll see a new option on the Embed window to allow you to select one of our players with or without captions. You may be wondering how to make or get a .srt file for your video. You can create one from scratch, use a program or website to help you make one (such as universalsubtitles.org), or have someone do it for you (MIT TechTV can provide subtitle creation service for a fee – contact us at techtv@mit.edu for more info). For some great additional resources and links to captioning tools, check out the MIT Adaptive Technology Information Center (ATIC) website. Help us provide more accessible videos by adding captions to your videos. If you don’t have your own videos on MIT TechTV but would like to volunteer to caption some of your favorite MIT TechTV videos, please contact us at techtv@mit.edu. Fix your old links and embeds before it’s too late! You only have a few weeks left before any old video embeds and download links will stop working. What does this mean for you? - October 31st, 2010 is the last day that we will receive service from our old vendor that will keep your old embed codes and links working – Please fix your websites before then to prevent any loss of service. - What’s affected by this – Any embed code or download links copied and used prior to August 23rd, 2010 are affected. Anything done after this date is not affected and does not need to be fixed. - Embedded videos – these are videos where you have copied code from TechTV and put in your site to make a TechTV video show up in your website. What you need to do to update your embed code is to go to the video’s page on MIT TechTV, click on the red “embed” button below the video, choose your settings for your video on the window that drops down and then copy the new code provided. Then go to your website and in edit mode, replace the old embed code with the new embed code you just copied. - How can I tell if my embed code is old or new? If the video embedded on your website has the MIT TechTV logo on your video itself, it is using the old code and needs to be updated. If the MIT TechTV logo is in the bottom right corner of the video player itself and is not covering any part of your video, then you are using the new embed code and you do not need to change anything. - Download Link – If the owner of a video has allowed for their video to be downloaded, on the video’s page on MIT TechTV, there will be a gray box to the right of the video with a line for “Formats”. Next to this, you will see the formats available for download. To replace old download links on your own website with new ones, simply copy the download link found with the appropriate format and replace the old download link with the new one you have just copied from MIT TechTV. - How can I tell if my download link is old or new? If your download link contains “viddler.com” in it, it is old and needs to be replaced with a new link. If you have any questions or concerns or need any help, please don’t hesitate to contact us at techtv@mit.edu.